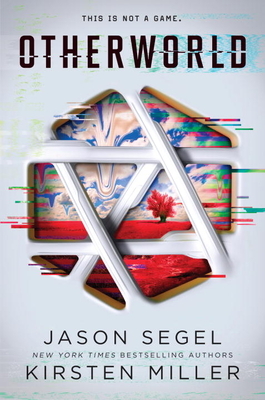 New York Times bestselling authors Jason Segel and Kirsten Miller imagine a world in which you can leave your body behind and give into your greatest desires in the first book in a fast-paced trilogy perfect for fans of the hit HBO show Westworld and anyone interested in the terrifying possibilities of the future of technology. The frightening future that Jason Segel and Kirsten Miller have imagined is not far away. Otherworld asks the question we'll all soon be asking: if technology can deliver everything we want, how much are we willing to pay? Jason Segel is an actor, a writer, and an author. Segel wrote and starred in Forgetting Sarah Marshall and co-wrote Disney’s The Muppets, which won an Academy Award for Best Original Song. Segel’s film credits include The End of the Tour; I Love You, Man; Jeff Who Lives at Home; Knocked Up; and The Five-Year Engagement. On television, Segel starred on How I Met Your Mother as well as Freaks and Geeks. He is the coauthor of the New York Times bestselling Nightmares! series—Nightmares! ; Nightmares! The Sleepwalker Tonic; Nightmares! The Lost Lullaby; and Everything You Need to Know About NIGHTMARES! and How to Defeat Them. Otherworld is his first novel for young adults. Follow Jason on Twitter at @JasonSegel. Kirsten Miller lives and writes in New York City. She is the author of the acclaimed Kiki Strike books, the New York Times bestseller The Eternal Ones, and How to Lead a Life of Crime. Otherworld is the fifth novel Kirsten has written with Jason Segel. You can visit her at kirstenmillerbooks.com or follow @bankstirregular on Twitter.